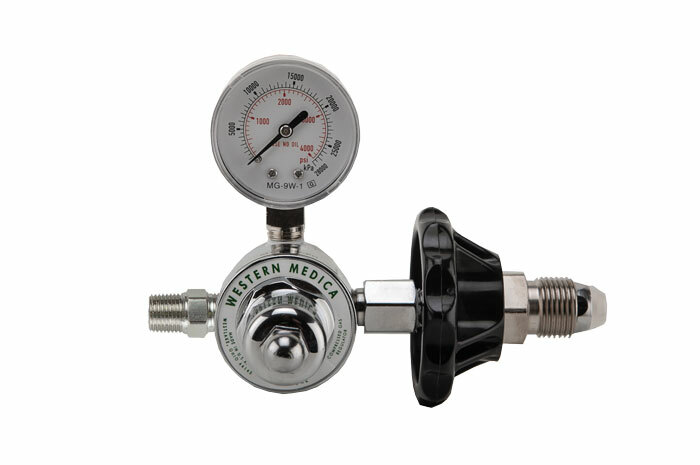 For use with various blood gas mixtures and are used in the calibration of blood gas analyzers. See gas supplier for your requirements. 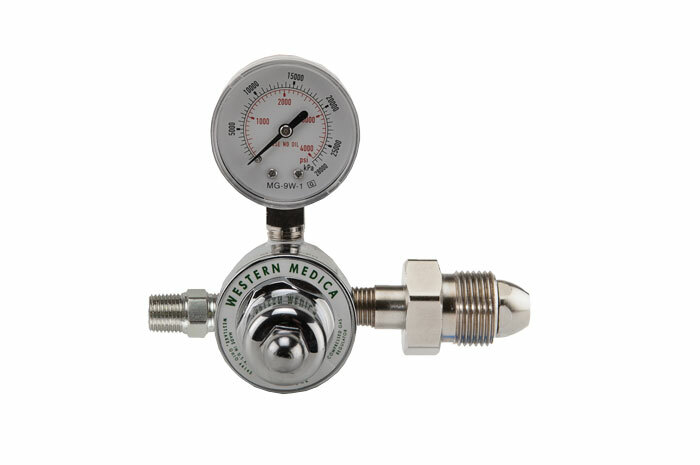 This regulator is also used in Lung Diffusion Mixtures for pulmonary function testing. WARNING: Administration of lung diffusion mixtures may be hazardous or contraindicated. For use only by or under the supervision of a licensed practitioner who is experienced in the use and administration of lung diffusion mixtures, and is familiar with the indications, effects, dosage methods, and frequency and duration of administration, and with the hazards, contraindications, and the side effects and the precautions to be taken.